CASA PARADISO is a well maintained holiday home, furnished in a Mediterranean style, with stunning sea views near the beach and the city. The nearest well-kept sandy beach with loungers, restaurants, shops and bars is located within walking distance of the house. A bus stop is also in the immediate vicinity of the house and brings you quickly to the city or the beach. The house is perfect for families with children, groups of friends or "Honey Moon". Groups of young people welcome. 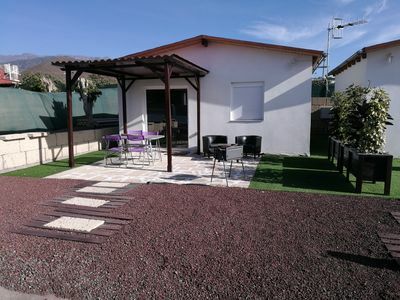 The very well equipped roof terrace with large comfortable BBQ - outdoor kitchen, sink, several gas and charcoal barbecue areas, refrigerator, cupboard for wine cooling and modern seating lounge leaves nothing to be desired. From here you have a fantastic view over the sea all the way to Africa. An unforgettable highlight at night! The house is fully air conditioned. On the lower level there are 2 spacious single bedrooms with 2 single beds each, wardrobe, sideboard, bedside table, air conditioning, TV, safe. A kitchenette with fridge, stove, microwave, crockery and many more, as well as a bathroom with shower and toilet. 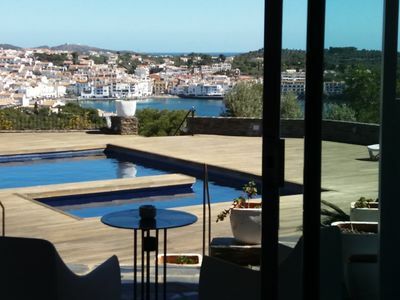 Fantastic view from the two bedrooms to the night-lit pool and the wide sea. The living room has a large panoramic window overlooking the open sea, comfortable leather sofa, TV, DVD player, large telescope stars, office corner and sideboard with a large collection of games for the whole family and a small bar. At the house there are many toys for children for pool and beach. Beautiful accessories and many romantic lightings give the house a very special ambience inside and out. 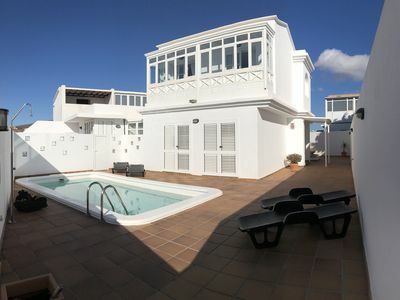 Modern bathroom with underfloor heating, shower and toilet and 2 large well-appointed bedrooms with double beds, air conditioning and views of the palm garden with tropical plants. The bedrooms are fitted with opaque curtains. The house has a normal capacity of 8 people. Children up to 5 years free. An extra bed for a ninth Person can be provided on request for a small extra charge. From almost all rooms you can enjoy the breathtaking views of the open sea and the city. The newly created terraces and a well-kept palm garden with blooming tropical plants invite you to relax. 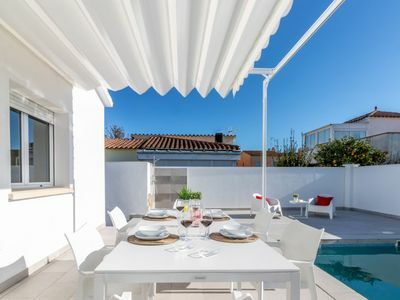 Comfortable garden furniture as well as a pool lit up at night, from which you can also enjoy a wonderful sea view, make you long for unforgettable moments with your family and friends. 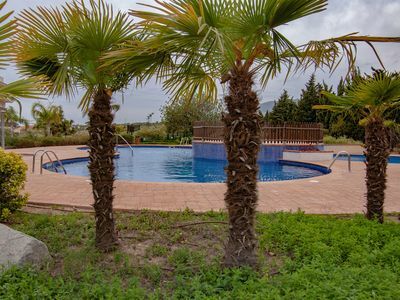 Pool and garden are maintained twice a week by a gardener. 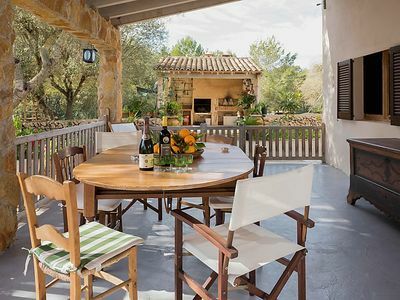 The house offers what guests want to spend a relaxing holiday with many beautiful memories. 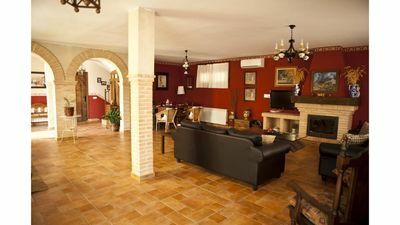 CASA PARADISO is in a beautiful residential area and good location in the middle of a nature reserve. The kilometer long sandy beach and town is within walking distance of the house. FUENGIROLA is one of the most popular and attractive resorts on the COSTA DEL SOL. Many typical Spanish Local for which Andalusia is famous are located directly on the beautiful beach promenade. Here you can enjoy fresh fish and Spanish specialties. 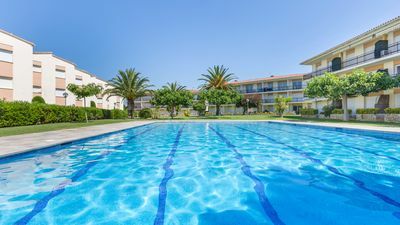 FUENGIROLA is a vibrant city by the sea, near MARBELLA, full of life with a year-round offer of unlimited recreational facilities and the longest and most beautiful sandy beaches. Here you can actively participate in cultural life, because the City has an excellent infrastructure and withstands even the toughest demands. It is a popular holiday destination for all ages and offers an extraordinary number of sporting activities. 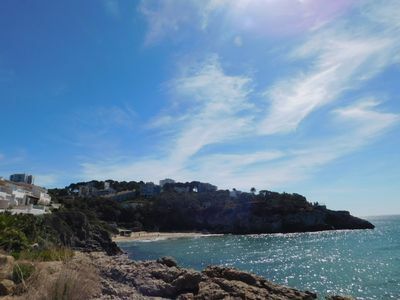 Thanks to the well-kept long sandy beaches, the idyllic old town, the many restaurants, exclusive shops and "rustic" Andalusian pubs, bars and numerous discos, this place is very popular. Large modern shopping and leisure centers invite you to shop with an extraordinary big deal. We have up to 320 sunny days a year, with us you can enjoy your holiday in the best weather in all seasons. Romantic horse-drawn carriages and a small tourist train for tourists that leads through the city, you will see the many attractions of the City. You can also take wonderful walks in the area or in the idyllic adventure nature park. We have everything, mountains, sea a lot of nature and a great old town with a lot of flair. 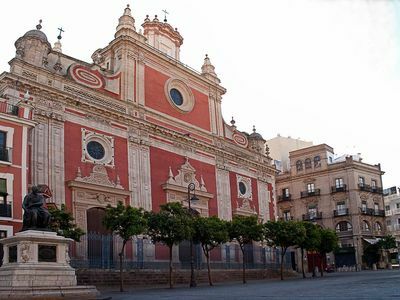 Nearby places to visit such as RONDA, MIJAS, GRANADA, GIBRALTAR and MARBELLA invite you to visit. Many events, dance bars, trendy discos and clubs, casinos, large aqua and amusement parks, Trivoli children's park, animal park, zoo, kart tracks, children's carousels around the beach, weekly fruit and vegetable and a typical flea market and our large fish market right on the beautiful marina provide a lot of variety. All markets are active in summer and winter. Many shops are on site. Numerous weekly festivals like the famous Spanish Ferias and bull fighting arenas are very popular. Absolute golf Mecca, many Andalucian festivals, ferias and bullfights. 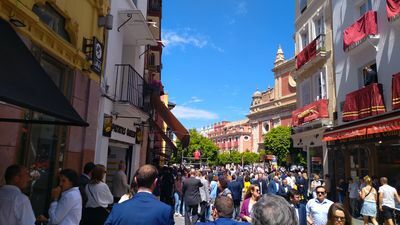 MALAGA, MIJAS the white Eseldorf, MARBELLA with its famous marina Puerto Banus, RONDA and the ALHAMBRA, GRANADA, GIBRALTAR and the SIERRA NEVADA invite to visit. A trip by ferry to the nearby MOROCCO is a special highlight. Pure culture here in Andalusia. Tennis, golfing, horseback riding, water skiing, Doelphhine boating, bumblebee, wake boarding, kneeboarding, banana rides, tubing, sumo suits, bungee jumping, paragliding, parasailing and jet skiing. Many diving and surfing schools are located near the beach. There is no limit to the variety. Costa Brava X3. 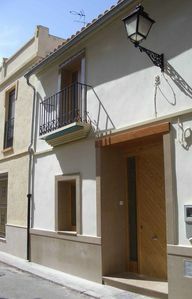 Apartment in Calella de Palafrugell with communal pool.